2018 proved to be one of the heaviest years for the an elections committee. Sixteen people were elected out of a field of fifty-five nominees. Multiple runoffs were required, one seat going four ballots. †S10.02. The Synod Council shall be the board of directors of this synod and shall serve as its interim legislative authority between meetings of the Synod Assembly. It may make decisions that are not in conflict with actions taken by the Synod Assembly or that are not precluded by provisions of this constitution or the constitution and bylaws of the Evangelical Lutheran Church in America. b. Recommend program goals and budgets to the regular meetings of the Synod Assembly. d. Provide for an annual review of the roster of Ministers of Word and Sacrament and the roster of Ministers of Word and Service, receive and act upon appropriate recommendations regarding those persons whose status is subject to reconsideration and action under the constitution and bylaws of the Evangelical Lutheran Church in America, and make a report to the Synod Assembly of the Synod Council’s actions in this regard. e. Issue letters of call to rostered ministers as authorized by Chapter 7 of the constitution and bylaws of the Evangelical Lutheran Church in America. f. Fill vacancies until the next regular meeting of the Synod Assembly, except as may otherwise be provided in the constitution or bylaws of this synod, and determine the fact of the incapacity of an officer of this synod. h. Perform such other functions as are set forth in the bylaws of this synod, or as may be delegated to it by the Synod Assembly. In practice, Synod Council meets face-to-face four times a year and, as needed, meets by teleconference. The face-to-face meetings are typically held on Saturdays and usually in the Fairmont, WV, but we have been known to hold the periodic Friday-Saturday retreat and meet in other places. It is incumbent upon Synod Council members to study materials prepared for the meetings and to be in attendance unless good cause may shown for the absence. It is helpful to have access to email. Senior, Junior, or Sophomore in high school at time of election. The Consultation Committee plays a role in both conflict resolution and discipline. Though rarely activated---some have served their entire term without being activated---when it is, the work is challenging, demanding good listening and observational skills, analytic ability, a commitment to justice and equity, prudence, the ability to maintain discretion and confidentiality, and an understanding of human nature. Ineligible: Pr. R. Paul Schafer, Pr. Matt Holbert, Pr. Emilie Theobald-Rowlands, and Pr. Sally Bartling. Ineligible: Mrs. Dorcas Freidline, Mrs. Pam Pritt, Mr. Steve Gnegy, Mrs. Dinah Courrier, Ms. Jeannie LeMasters, and Mrs. Jane Hazer. 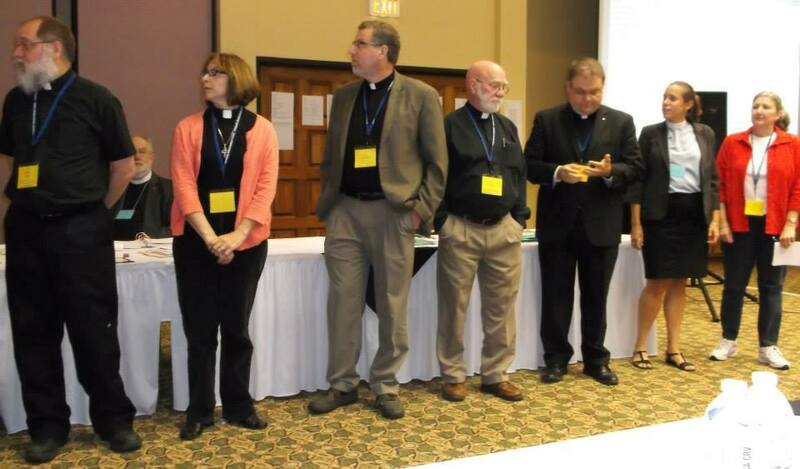 The Discipline Committee plays a roll in the discipline of ministers and members of the synod and its congregations. It is a twelve member committee, and, in the event of discipline hearing, a specified number of the committee members are selected for service. A discipline hearing involves the hearing of testimony, rendering judgment, and imposing discipline in cases of guilt. This committee has never met in this synod, but, should it be called upon, those serving will find it challenging work, demanding good listening and observational skills, analytic ability, a commitment to justice and equity, prudence, the ability to maintain discretion and confidentiality, and an understanding of human nature. Voting members of the Churchwide Assembly participate in the highest legislative authority in the ELCA. Roughly 900 voting members from across the 65 synods of the ELCA. Service requires commitment to participate in the week-long event to be held in August 5-10, 2019, in Milwaukee. The cost of transportation and lodging is covered by the ELCA.